I have lived in apartments most of my life. As a result I have gotten really good at making spaces feel cozy and inviting even when they are temporary. Every Spring I try to do a bit of a refresh of my apartment. I swap out the the winter cozy vibes for the spring/summer light and airy vibes. And it doesn't take a lot of time or money to do this. 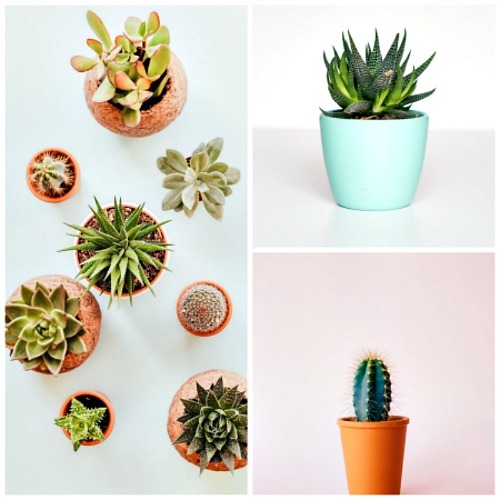 Below are a few of the simple, easy and affordable way to spruce your space for the summer months! I love linens. Sheets, towels...I love it all. And one of my favorite seasonal purchases is getting brand new bedding. I do this twice a year: In the fall and in the summer. There is something about a fresh set of sheets and a new comforter or duvet that can change the entire look of a bedroom. 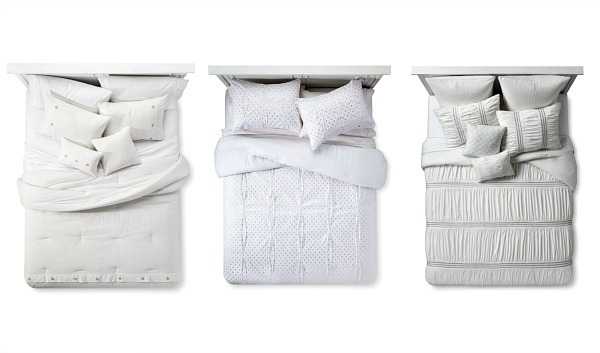 In the summer, I opt for light and airy bedding. Think of a puffy white cloud. That's what I like my bed to look like. Not only does it look amazing and feel amazing but in the blazing Chicago summer temps it helps keep you cool at night since white reflects rather than absorbs heat. I also try to stick with 100% cotton materials. An extra tip for saving money? Buy a bed-in-a-bag. No they are not just for college students. They can be a great way to save money and get everything you need. The ones pictured below are from Target and are all under $100. This one is often neglected because I know so many of us are simply not that great at taking care of plants. I never thought I had much of a green thumb either. I have small plants at my office as well as in my apartment and they are still kicking (knock on wood lol). So I am feeling confident enough to try my hand at larger plants. Not only can they really make a space feel alive but they also help the air quality in your space. If you are a pet owner like me just make sure to research what types of plants are safe for cats and/or dogs. Three plants that are safe for cats and improve air quality as well are Areca Plants, Money Trees, Spider Plants and Bamboo Palms. Yes, I am one of those women. I love scented candles. I burn them year round. All I do is swap out the scents. In summer, I go for light airy or gentle fruit or floral scents. Scent can play a huge role in your mood and I often use scented candles as a self-care or de-stress mechanism. Right now I am really loving Citrus Pomelo from Bath & Body Works. It has great energizing but not too strong citrus scent. From Right to Left: Bath & Body Works French Lavender 3 Wick Candle, $24.90, White Barn Pure White Cotton 3 Wick Candle, $24.99, Bath & Body Works Pomelo Citron 3 Wick Candle, $24.99. Most apartments in Chicago are outfitted with putty-colored blinds. They don't make for the most aesthetically pleasing vibes. But they are functional. I have always placed curtain over my blinds. You may not see them from the outside looking in, but they add something to the inside space and have the added advantage of covering up the blinds. 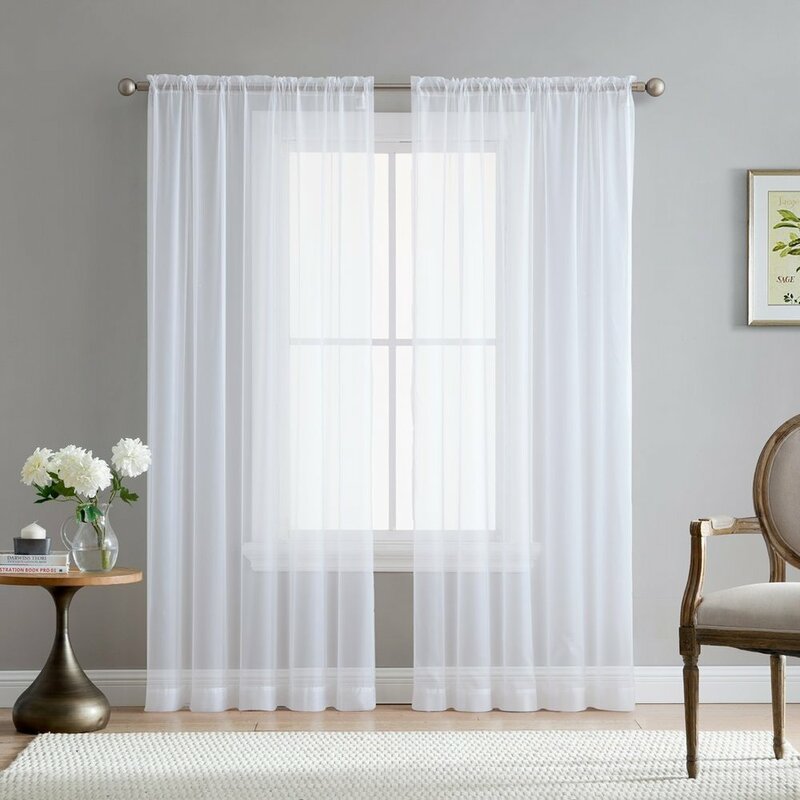 In the summer months, sheer curtains can be great for creating a light and airy vibe, covering up the blinds (somewhat anyway) and still allowing air flow. I suggest sticking to lighter colors, or white. And you can get them super cheap. The ones below are from Amazon and are less than $15. I have only recently gotten into mirrors. I am a child of the eighties and mirrors were very big back then. So big, that the home I grew up in had an entire wall of mirrors. Thanks Mom, for that stellar eighties decor. 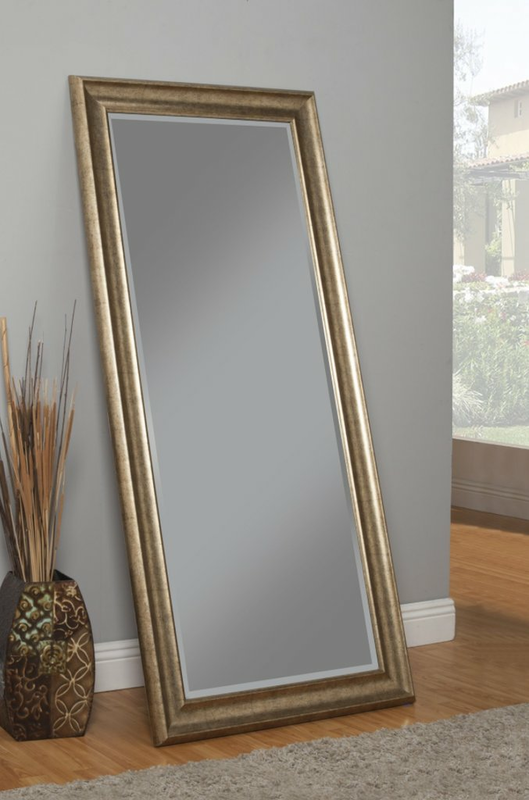 Because of this I've always had a bit of an aversion to too many mirrors in a space. But recently I have been looking for ways to impart more light as well as make my smaller space feel bigger. And mirrors can help accomplish this pretty effectively. Right now I am all about floor length mirrors, placed against walls. The one below is from Birch Lane and retails for $149. Incorporating one or two of these things can your space a mini-makeover and keep decor-fatigue at bay. A few honorable mentions that also work but aren't as quick and/or affordable as the ones listed above are adding removable wallpaper (if your landlord doesn't allow you to paint), adding a few area rugs and swapping out or adding artwork to the walls.